Hugh Mangum was a self-taught photographer born in Durham in 1877, when it was a newly incorporated, tobacco fueled boomtown. He was an itinerant portraitist with a temporary studio, working mostly in North Carolina and Virginia, during the segregationist laws of the Jim Crow era. Mangum had an open-door policy, and his clients were racially and economically diverse. And as art historian Deborah Willis writes, his photographs "show us lives marked both by notable affluence and hard work, all imbued with a strong sense of individuality, self-creation and often joy." After Mangum's death in 1922, his glass plate negatives were stored, out of sight, in a tobacco barn on his family farm for 50 years. 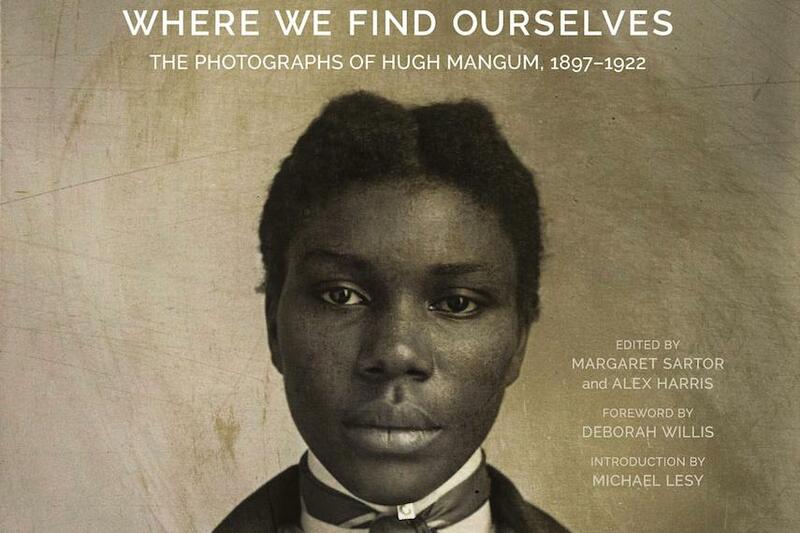 "Where We Find Ourselves: The Photographs of Hugh Mangum, 1897-1922" is organized at the Nasher Museum of Art at Duke University by guest curators Margaret Sartor, independent curator and Duke instructor, and Alex Harris, professor of the practice at Duke University, in association with Duke's Center for Documentary Studies.